The Advanced Manufacturing Growth Centre’s (AMGC’s) “Path to advanced manufacturing” symposium on July 4 brought together more than 200 industry and academic experts at the University of New South Wales (UNSW) in Sydney to share ideas on how Australian manufacturers can add value to their businesses through collaboration. The attendees listened to case studies presented by SMEs actively engaged with universities in developing new products. The program also included tours of UNSW’s Centre for Sustainable Materials Research and Technology (SMaRT) and the ARC Centre for Automated Manufacture of Advanced Composites (AMAC). 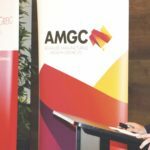 Michael Sharpe, the director of AMGC’s eastern division, encouraged manufacturers to move beyond production and add value to their respective businesses through investment in research and development, services and innovative sales models. “The manufacturing sector is undergoing a revolution, both here and around the world. The new space has created opportunities for manufacturers to differentiate themselves with the help of ideas that are bold, original and smart,” he said. As part of the program SME businesses including Tradiebot, Rotacaster and JAR Aerospace shared their experience of collaborating with universities. Professor Gangadhara Prusty, director of UNSW’s ARC Training Centre for Automated Manufacture of Advanced Composites (AMAC) and Professor Veena Sahajwalla, director of the Centre for Sustainable Materials Research and Technology (SMaRT) at UNSW both introduced the capabilities within their research laboratories and guided the participants on a tour of their respective facilities at UNSW. Behrang Poorganji, GE Additive’s Materials Development Leader- USA delivered a keynote speech and presentation about the latest developments in additive manufacturing techniques and materials. “The idea of today is to show collaboration in action,” Sharpe told Manufacturers’ Monthly. “Companies like Tradiebot, Rotacastor and JAR Aerospace are at the frontline of showing how collaborations can be a powerful tool for competing at global markets,” he said. Professor Gangadhara Prusty, director of UNSW’s ARC Training Centre for Automated Manufacture of Advanced Composites (AMAC) talked about the centre’s capabilities. Sharpe said for Australian manufacturers to be able to compete in global markets, they need to shift their focus from simply manufacturing goods to creating value, both in pre- and post-production phases. “Our nation’s strength once lay in manufacturing finished goods such as household appliances and cars. Today most of these traditional production activities are being outsourced to lower-wage countries. However, opportunities are being presented where we can re-shore a number of these activities with the help of advanced technology and advanced business models,” Sharpe said. He used the “smiley curve” diagram to show how value is shifting from traditional production phase to early stage research and development and design and post-production activities such as logistics, packaging, sales and customer service. “Manufacturing today is different from 50, 20 and even 10 years ago. Manufacturing no longer simply equals production. For Australian manufacturers to be successful we must focus on the activities before and after the actual production. On the sales aspect, our research shows that 40 per cent of Australian manufacturers do not even have a website. 60 per cent of those that do have a website are not up-to-date with the latest news and updates,” he said. He noted that Australian businesses could use the digital transformation of businesses to their advantage, as the geographical barriers fade away. “The new space allows manufacturers to integrate digital technology into their operations. As more and more functions can be performed from anywhere in the world, it also makes Australia’s geographic distance from the world market less relevant,” Sharpe said. He also pointed out that manufacturing is no longer about delivering whole products. solutions into the global network. In fact intermediate goods now account for more than 80 per cent of the global trade. Australia’s share in that trade is only one per cent. “A good example is Australia’s automotive sector. Companies like Ford, Holden and Toyota are retaining significant domestic skill capacity in areas such as engineering, design and research even as their assembly lines have moved off-shore,” Sharpe said. The event, titled “Path to advanced manufacturing,” was organised by the Advanced Manufacturing Growth Centre. Mario Dimovski, founder of Tradiebot Industries, talked about his journey from running a traditional automotive repair company to establishing a technology platform and automated solutions company. Dimovski has been in the automotive repair industry for more than 25 years, starting out as a 16-year-old plastic repair welder. But, the shortfall of skilled workforce in his industry encouraged him to launch Tradiebot. Established only about six months ago, Tradiebot is already working on a number of major projects focused on automated automotive repair and workforce up-skilling. “The collaborative model has worked very well for us. Some of our industry partners are also the end users of our technology. In a way, we are building our solutions around the needs of our collaborative partners. So, we have done things the opposite way, working for with them and developing for them,” Dimovski said. Another case study was presented by Peter McKinnon, managing director of Rotacaster, whose company designs and manufactures Omniwheels – multi-purpose, omnidirectional wheels produced through injection-moulding into a web-like structure. A Newcastle based company established in 2005, Rotacaster is currently working on a collaborative project to design a “smart factory” conveyor table and digital control system for Tesla at its Gigafactory battery plant in Sparks, Nevada. Rotacaster is working to achieve a shift from large production-centric manufacturing to customised, smart and competitive manufacturing that is backed by collaborative research and development and highly skilled workers. Professor Veena Sahajwalla, director of the Centre for Sustainable Materials Research and Technology (SMaRT), guided the participants on a tour of the facility. The message from the day was to encourage closer engagement between manufacturers and universities. The UNSW Deputy Vice-Chancellor, Professor Brian Boyle, noted that the vision is also shared by UNSW. “Engagement is a central pillar of this university’s strategy. From 2016, the UNSW Sydney committed to double its engagement with industry in five years, as a means to ensure our research has an impact on society. We are on track with that objective and we have an annualised growth of 20 per cent in our engagement with industry,” he said. Michael Sharpe explained to Manufacturers’ Monthly that AMGC is working closely with other organisations such as the Innovative Manufacturing CRC (IMCRC) and Austrade in its efforts to engage with more manufacturers across the nation as well as to create export opportunities for local manufacturers. “Our membership is growing daily. The ability to connect our members from various sectors has proven itself to be very effective. There are many companies present here today that did not know each other before – even though they were located only a few blocks away. Through AMGC they learned about each other’s activities and started collaborating,” he told Manufacturers’ Monthly. IMCRC funding R&D for manufacturers To wrap up the program, David Chuter, CEO and Managing Director of IMCRC, gave the manufacturers an overview of IMCRC’s research and development fund for manufacturers and encouraged them to take benefit from it. “Hopefully the conversation about collaboration and R&D between companies and universities has whetted your appetite. I want to tell you about the largest R&D fund currently available in Australia for manufacturers, to access if you want to do R&D in a collaborative environment with a university,” he said. The IMCRC is a not-for-profit, independent cooperative research centre that helps Australian manufacturing companies increase their relevance through collaborative, market-driven research in business models, products, processes, and services. Chuter noted that out of the $30million Commonwealth fund available to IMCRC to spend before 2022, $17 million has already been allocated to collaborative projects, leaving another $13 million for companies planning to engage in R&D with universities or the Commonwealth Scientific and Industrial Research Organisation (CSIRO). “The $17 million has been assigned in co-fund 17 industry projects. So, we have invested an average of about one million dollar per company. We can fund as high as $3 million per company and as low as $150,000. This means that $150,000 of your cash is matched with a $150,000 of Commonwealth cash to create $300,000 that can be used for doing research with universities or CSIRO,” he explained. He clarified some points about the types of projects that IMCRC funds. “The difference between our program and some programs that AMGC or The Entrepreneurs’ Programme run is that while those programs are designed for shorter, industry-based research projects, we focus on projects that require between 18 months to four years to conduct the R&D and get the product to the market, ” he explained. “Another key thing for us is about driving real-world outcomes. What is the focus of your research and what results you are hoping to achieve. We fund ideally from a proof of concept, where you already have a business model. We work with you through that proof of concept until you have a product that is ready for the market,” he said. In a conversation with Manufacturers’ Monthly, Chuter noted that the projects funded by IMCRC are a testimony that the manufacturing sector in Australia is thriving. “More than half of our funding has already been granted and that has led to about a $100 million of total R&D investments in manufacturing that has been facilitated by IMCRC. So, if anyone says that manufacturing is dead, there are many big investments taking place that show otherwise,” he said. Chuter also noted that events like the “Path to advanced manufacturing” are important for bridging the gap between research and industry. “Events like this help break down some of the existing barriers as the industry is often not aware of what the universities are doing and the universities aren’t always aware of what the industry needs,” he said.